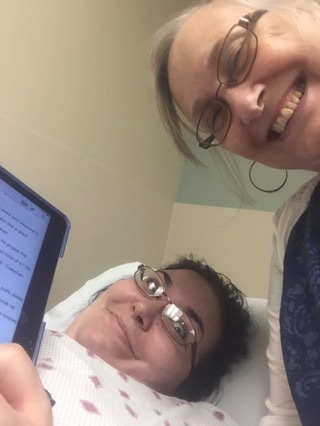 Samantha and I are in the hospital for minor surgery, but we are talking writing and I’m ready to fill my waiting time with work on the new novels. See us preparing to work below? The novel is largely set in a bookstore and today I’m amping up the descriptions. One fun background motif for the store is the two cats who languish and play there: Ishtar the Luxurious and Jericho the Magnificent. They are cool observers of the passions going on around them. 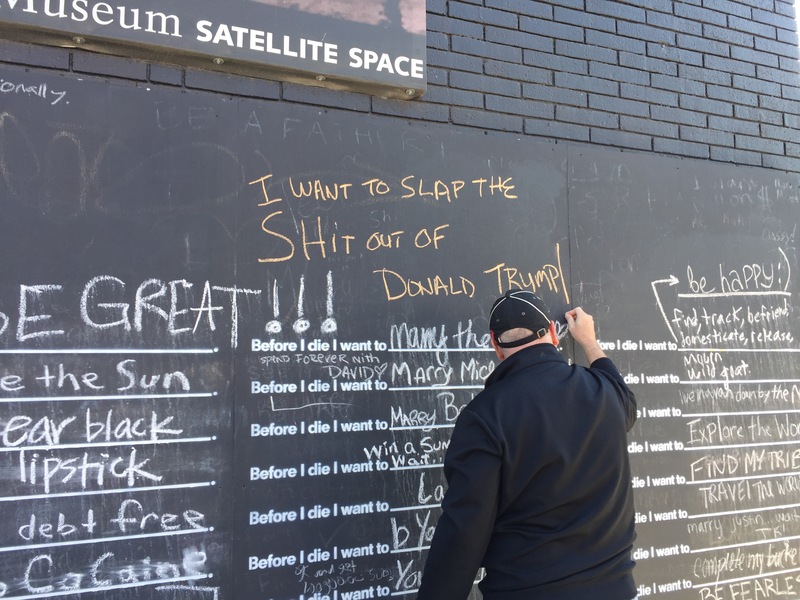 Whatever you’re writing today, I hope you have as much fun expressing your self as my cousin did in the photo at the top of this post. As always, let us know what your goal is today, and how it’s gone. goal for the day–sit down and write something before dinner! That’s very clear, m’dear. Good luck! Second cataract surgery tomorrow, and vision still blurry, but I managed to write a couple hundred words, expanding on a few scenes and clarifying some action in my Randi story. My heroine! Hope all goes well, Bobbie, and you and Randi won’t miss a beat. Hope all went well with Samantha! Thanks. We’re still working our way out of the recovery room. I have a few notes on my novel, and hope to get in something more substantive before the day is through. Fine, thank you. She is resting comfortably and I am recovering from a five a.m. trip to the hospital. I’m having an attack of “why are you bothering with all the stupid sh*t you’re writing about when there’s so much awful going on in the world.” Trying to remind myself that it’s not stupid just because no one’s getting killed and that effort spent thinking/feeling one’s way through tangled knots is rarely wasted. Best to you and Samantha — and I love that graffito. Seize the chalk! Sorry I missed this, Susanna. See today’s post to find my excuse. Had I seen it last week, I would have said, NO WAY should you let up. Just because we are pounded with crazy violence at the moment, or maybe BECAUSE we are, we need relaxation, deep peace, entertainment, and thoughtful commentary about the world and our place in it, more than ever, not less. We will not find that at the moment in the news or conventional wisdom. Let’s get outside the bounds and push with all our might.